The picture to the left is of the neighboring next block that’s within easy eye shot of these homes. 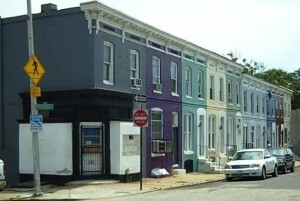 – 310, 322, 327, North Bruce St properties in Franklin Square. – Full gutt renovation needed of course at this price point. The below video below will be updated shortly. This is an old video when there were a total of 7 properties available. This listing is for THREE of the properties depicted in the video: 310, 322 and 327 N. Bruce St.